Q: Is it possible to know one's past lives? M: This is a siddhi which you can acquire by intense meditation and concentration. But it is not something that is worth striving for because it will not help you to realize the Self. The power to see previous lives often comes automatically to a jnani, along with many other powers. For example, a jnani may be able to look at a devotee and tell immediately if that person is capable of realizing the Self in his present life or not. But the jnani will rarely disclose such information because it will only cause quarrels and jealousies among devotees. Q: How does the jnani evaluate spiritual potential? M: The body and the mind are formed from the thoughts of the previous life. The jnani looks at you past life, sees how it has affected your current life and notes how pure and humble your mind is. With this information he can easily see if you are capable of realizing the Self or not. When I first saw Sarada I saw immediately that she was a very ripe devotee who could easily realize the Self, so I adopted her as my daughter. Within four years, she realized the Self. Q: If the jnani has so much power why can't he take a new body when he dies in order to help successive generations of devotees? Why must the birth he realizes the Self be his last birth? M: It is the mind which take birth in the new body. The jnani has no mind, so there is no question of rebirth for him. Q: Some Gurus say that after they die they will take a subtle body in one of the astral worlds. M: To take a body, even a subtle body in the higher regions an 'I' is necessary. When the 'I' is still present rebirth is inevitable. When the 'I' has died, rebirth is impossible. Q: But why can't a jnani choose to be reborn? He makes choices while he is alive, so there must be some mental faculty in him which he can use to bring about a rebirth. M: The jnani has no mind at all. All his actions are performed through the power of the Self. Other people see him acting and apparently taking decisions, and they assume that he must have a mind because they cannot imagine how this can be done without a mind. 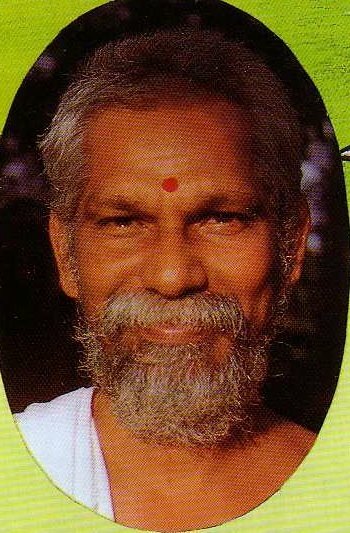 Q: But the mere fact that he is alive means that the jnani has decided to live after Self-realization. Can't the jnani use the faculty he uses to stay alive to continue his life after death? M: The jnani has no mind and no body. He is the formless Self. He only appears to be alive in the sight of those who identify him with a body. There is no question for birth or death for a jnani because he has already transcended them both.